Singer Buffy Sainte-Marie discusses her new album of activist "Medicine Songs" and what they have to say about our place in today's world. Then author Kim Dinan tells the story of how she quit her job, sold her stuff, and set off on a three-year round-the-world adventure — inspired, in part, by a certain yellow envelope. 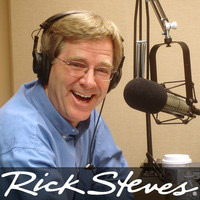 And listeners converse with Rick about the special concerns involved in traveling to politically sensitive countries. Buffy Sainte-Marie has a website that includes information about her new album "Medicine Songs." "Medicine Songs" is Buffy's 18th studio album, and includes a collaboration with Inuit throat singer Tanya Tagaq in this video of the opening track, "You Got To Run." Buffy recommends reading Jack Weatherford's 2010 book "Indian Givers" to learn about the global historical influences of the Indian nations of America. Kim Dinan is the author of "The Yellow Envelope." She publishes a blog at "So-Many-Places.com". 85 teams are starting the new year racing across India in the Rickshaw Run, which Kim participated in on her round-the-world adventure.